This is the first in a series reporting on CIV 2014-096-428, Bartercard NZ Ltd vs Nicholas Down, being heard in Lower Hutt District Court, Wednesday 11th & Thursday 12th April 2018. I will be updating posts in as close to real-time posting as I can, and keeping commentary to a minimum due to court reporting rules. Once the case is presented though, the gloves will come off. This post is a brief introduction to the case. I explain how the two parties got into conflict and what their respective arguments are. A lot could be at stake with this case and both parties clearly want their day in court. I use surnames only with a legend for details. Down joined BC in 2003. He is an auctioneer and general trader. Autistic, he has supreme deal-making skills and is the consummate horse-trader-from-hell, probably the only dude who rivals me in terms of slipperiness & native capacity to crunch a deal that I know. They call me the “The Crazymaker”. Down and I appear to be peas in a pod. BC headhunted Down, Hamilton & Hebbink the guilty party that signed him up. Over the years Down and BC fought like cats and dogs, but always kissed and made up. Down did auctions aplenty, wheeled and dealed and had an incredible fee structure, 1+1, when the going rate was 6.5+6.5 and Gold Card members had 6.5+0. The reason for this is that he was a top trader, not so much in volume (he only did a few million in his time) but because of the quality of the benefit to the BC system. He would bring in hard goods that sold very well. In 2013 BC advised Down that he was no longer permitted to auction. Essentially: relationship over. No longer able to trade Down couldn’t repay his overdraft. BC slapped him with the usual story – pay up or we’ll close your account. Down told them to stick it. They did and sued for $80k. Four years later and it finally hits the courtrooms. Half way through the preliminary legal argy-bargy BC slipped in interest to the claim, which will send any judgment if they win well over $100k. If successful, this will all mean bankruptcy for Down, something BC is very keen to see as animosity exists in no small measure! He also says that they’ve cost him heaps and have a bad attitude towards him blah, blah, blah. The breaches of contract relate to this specific case . . . the “doctrine of penalties” however has wider ramifications for all Bartercard members and indeed all commercial trade exchanges globally. 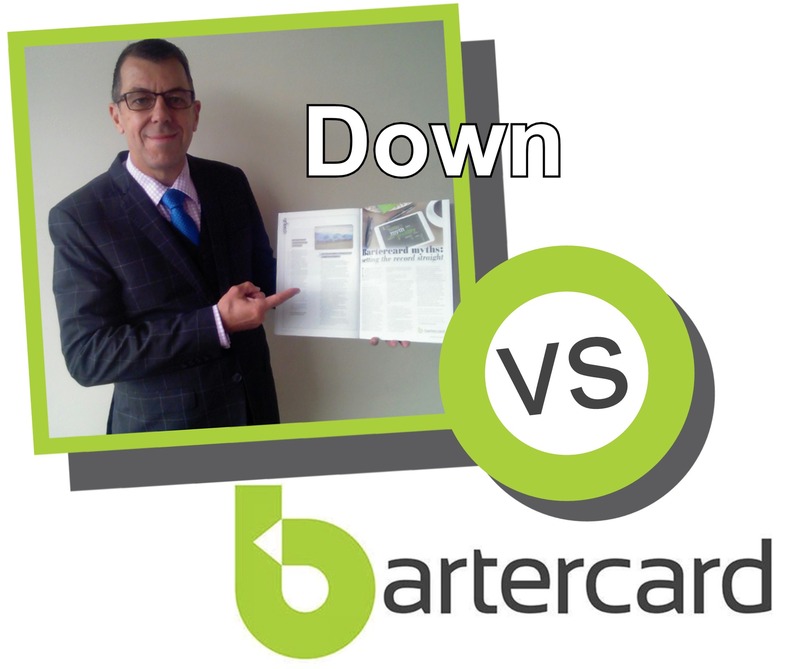 The first issue is whether the Bartercard currency is devalued. The second issue is what is FMV. The third issue is whether or not BC can require repayment in cash at full cash value when FMV is less, and this is due to the legal concept of “doctrine of penalties”. If the doctrine of penalties can be applied in this case, then Down is only “up for” FMV and BC will have a huge dent to a rather lucrative cash conversion income stream from closed accounts in debit. 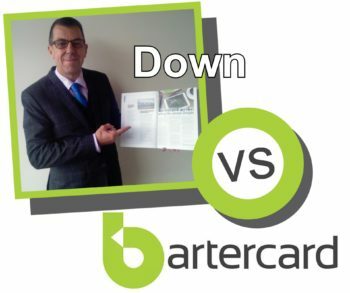 It will also potentially bring unwelcome attention to the subject I have been blogging about for years – the Bartercard Trade Currency has a huge trade deficit and is grossly overvalued when viewed on par with the local currency. There you have it. There’s a truckload more such as procedural BS, and side issues such as perjury, crookedness within the legal fraternity and court processes and decisions that on the surface put favouritsm towards those who pay lawyers and against those who do it themselves, but hey, that’s life. It’s not always fair is it, especially in a court environment? So let the games begin. When they select a new Pope the smoke arises to indicate agreement. When smoke arises from the courtroom it won’t mean that everybody has agreed, it will mean that the lions are getting their comeuppance and the fight is getting underway proper. For the record, it should be noted that I am Down’s McKenzie Friend in this case and that I have provided strategic advice to Down since 19/3/2017 on a commercial basis. He is also a minor shareholder in one of my companies, Bounty Hunters NZ Ltd.
BC = Bartercard Exchange Ltd (formerly Bartercard NZ Ltd). FMV = Fair Market Value. Hamilton = Ross Hamilton, ex Hamilton Rep.
Hebbink = Paul Hebbink, current National Sales Manager. The real genius of modern democracy is that it makes the citizen feel that the government and its workings are somehow the product of his own aspirations. Unfortunately as is typical with hypocritical traders ( who incidentally create many of the issues that impact on Bartercard and its market perception ) he want to have it both ways and complains when he can’t. He helped create the issues that you consistently mention about Bartercard and it’s ironic that you choose to defend him. He could easily have traded out of his debt but because he couldn’t continue to price gouge chose not to. I’m not sure where you have gotten some of your conclusions from for I haven’t shared details of this court case yet, only generalities, and big picture level bullet points of the key arguments. You are also not specific. When I get to report on and explain the trial you may see that this trader has bigger issues against Bartercard than simply cash conversion by the currency operator seeking repayment in full. Furthermore you have concluded with incorrect assumptions. The issues that I have blogged about extensively are nothing to do with this trader’s conduct, nor his Defence. It’s the other way round! The primary issues for me are deception; a massive undisclosed trade deficit and immoral conduct from BC staff & management. These all relate to Bartercard’s conduct, from which all members have suffered. When ASX:BPS deceives the public on launch and ever since, this is corporate greed and p*sses me off because the usual reason for lies is to cover for crims doing crooked things. The little people like Down (and I presume you) pay in the end – always! The second issue is the primary issue with BC – the currency is devalued. Debasing a currency occurs by those who issue it and control it. The core reason that it devalues is because value has been sucked out of the exchange and this can only be as a result of Bartercard’s actions. Traders hike their prices or seek the best return because of inflation within the currency. That is only natural but it’s actually Bartercard’s responsibility – read their Rules and study Mutual Credit accounting systems then apply logic and you can see that like in the cash economy, the traders, the people only respond to the perceived value of a currency which is issued and managed by someone else. In this case it is BC. BC have pilfered from the system for 30+ years, thus the huge trade deficit, which they hide off-balance. Thirdly, a high portion of BC staff and management are crooked to the core, which is what started to come out in court yesterday and the day before. No compunction lying, these people have been flushed out of their leadership role at Board level as the new CEO gets his teeth into the problems and Down is flushing out more of these crooks through the court processes. When one lies in an Affidavit given to a court, this is called perjury and is a criminal offence. Lying in my book is WRONG, even though it may be normal in some quarters. Whether Down is a hypocrite or price gouged or not is not my care. Whether he has been wronged or not is. He has. He asked for help. I helped at huge personal cost and I am intensely proud of that assistance I gave him when he needed it. When the full story comes out about BC AND Down, people will appreciate much more what I do and why I do it. If FMV is accepted in court and the difference between FMV and the NZD is deemed a penalty, then the legal doctrine of penalties may apply. If it does, then trust me, this will be the final nail in the coffin for the Bartercard behemoth. I will be blogging about the trial in due course. Standby!